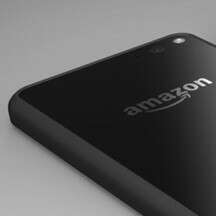 Amazon is expected to officially announce its first smartphone tomorrow, on June 18. While this may turn out to be a big deal for the US smartphone market, it looks like a large portion of mobile users won’t be able to get Amazon’s handset because of a carrier exclusivity. The Wall Street Journal reports that the Amazon smartphone will be available only via AT&T, reconfirming a previous rumor. Apple’s first iPhone models were also exclusive to AT&T, this allowing the carrier to attract a substantial number of customers. However, we doubt that Amazon’s smartphone will have a similar effect. As reported earlier this month - and as you’ll see in the video below - Amazon seems to believe that the upcoming handset can really wow users with its innovative software capabilities. The device allegedly relies on four infrared sensors (located on the front) to track user movement and provide real-time, glasses-free 3D images. Naturally, the handset will act as a portal to loads of Amazon services. Its specs should include a 4.7-inch display with 720 x 1,280 pixels, a quad-core Snapdragon processor, 2GB of RAM, and a 13MP camera on the back. The final name of Amazon’s first smartphone isn’t known. We can assume that it’s going to be called the Kindle Fire phone, but we may be wrong on that. Anyway, it’s said that Amazon doesn’t plan to start selling the handset before September. But we’ll find out more about this tomorrow. +1. I wonder if Bezos is going to change his name to Bozos? Best way to kill sales of your new toy is to agree to a carrier exclusive. Ask Nokia how their carrier exclusive with AT&T worked for them. Won't hurt Amazon as much as it will hurt Verizon (and to a lesser extent the other carriers). It's a new market for Amazon to get into, and carrier exclusivity for a new player can help build up demand on other carriers if it is well received -- that is what happened with the iPhone, after all. Unless the phone is a complete flop, Amazon has little to lose here in my opinion. There is a saying (I am paraphrasing) - time is money. Bozos has a limited time to get traction in what is already a crowded market (mid-tier smartphones). He needs as many sales as he can ring up. Carrier exclusive with AT&T means there are ~200 million consumers who won't be considering his new toy. The market has matured significantly from where it was back in 2007 to 2012. More competition, more choices. Business models that worked back in 2007 won't nowadays. Magic 8 Ball says Amazon phone under-performs. How to flop your debut: Carrier exclusive. What are these people thinking? That title... Woah PA what a cross linking. I hope the phone has a decent design. The Kindle Fire designs, though much improved with the HDX still haven't been exactly cutting edge. Smoke and mirrors....not a smoking gun. Build curiosity and people will show up. If you want a cheap mid tier phone have at it! The people in the video are playing with a Slinky. I do not see why a potentially media oriented phone would have only a 720p screen. And 4.7 inches is a bit small for watching Amazon Prime videos. I will probably check it out but it would have to be pretty awesome for me to sign a new contract or pay cash for it. Prediction time! So guys what price do you think this thing will be? I'm predicting $249 off contract because Amazon is partially subsidizing the phone. They've done great so far coming to market with reasonable priced tablets and they've sold great. The Fire TV is also competitively priced for a streaming box + gaming system. I bet they'll offer this at a good price hoping to attract people into the Amazon App Ecosystem, because they're going to be competing with the Moto G and the Nexus 5 for price point. The Moto G is only $199 off contract for a 16 GB model and that has full access to the Play Store with over 1 million apps while the Amazon Store only has 240,000 apps. They've gotta be very price competitive because they don't have the ecosystem that the other platforms already do. As much as I hate exclusives it may not kill the phone. I mean Apple did pretty well with just selling on AT&T. But I don't know if this has as much hype as the iPhone. The iPhone brought something completely different to the table when it was released, so it had that going for it. Amazon needs to give people a reason to buy their phone that Apple and mainstream Android can't provide. Apple lost me as a customer with that move. Even though I really wanted the iPhone there was no way I was going to leave Verizon to get one. That's when I discovered Android and there was no turning back. So there is a fifth OS coming into the market, that seems kinda silly being that you would have to first break into the market like a wild man at a party and get everyone's attention. (and the people that was in that youtube clip their scope is rather narrow) Another thought would be who are they going after? Are they going after the Windows phone the Blackberry??? If this is true(and we won't really know that until tomorrow), then this could turn out to be a mistake by Amazon. They should be trying to get every carrier on ball with this. As to who will buy this? First time smartphone buyers, for one. I'm almost certain that this phone will be priced to sell well, even off contract. I'm guessing no more than $200, or priced to match their Kindle Fire tablets. The other group of people who will buy this? Those who are into Amazon's ecosystem, and those who own and love Kindle Fire tablets. I, for one, will be purchasing one. I'm almost certain that Amazon will also be selling this handset unlocked thru their own web site. I think its a good move.. Wait? What!! !